FREE Activia Yogurt 4-packs w/ Coupons! 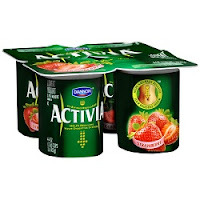 You can get an awesome deal on Activia Yogurt 4-packs at Target by stacking a few coupons! You can freeze yogurt, so don't be afraid to buy a lot of them!